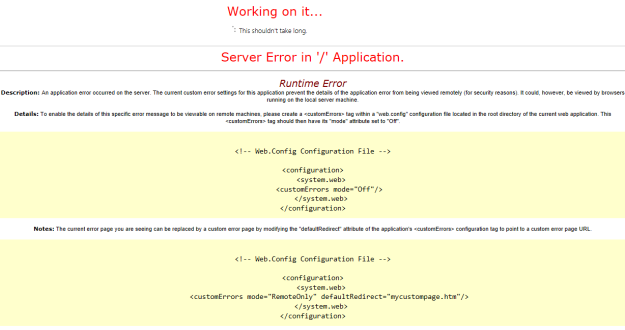 SharePoint 2013 Hosting – HostForLIFE.eu :: How to Resolve Error Creating Publishing Sites In SharePoint ? 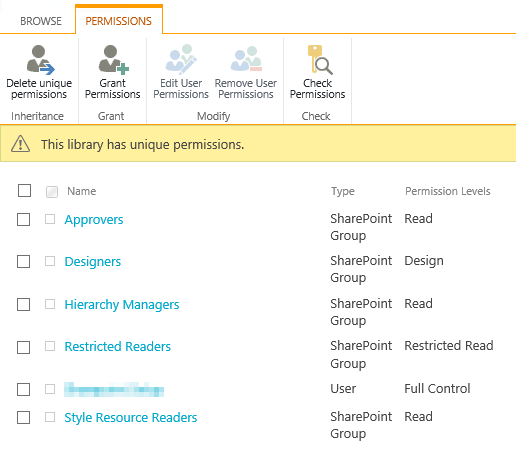 I’ve come upon a problem in SharePoint 2013 related to the creation of publishing Sites. rather than the site being created, the user is confronted with the error below. A list of errors logged in the ULS is at the top of this post, however the problem is because of access being denied to __DeviceChannelMappings.aspx. 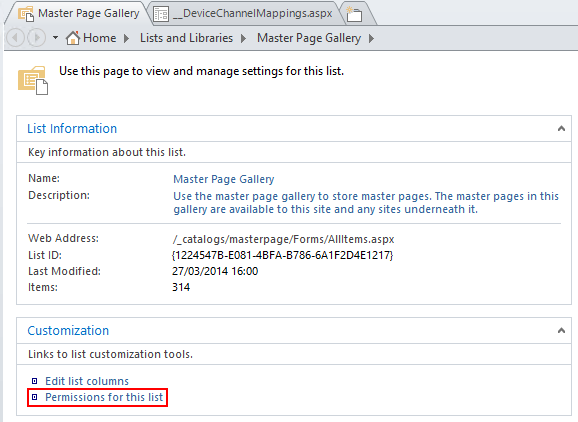 To resolve the error use SharePoint Designer to assign the Restricted read access to _catalogs/masterpage and DeviceChannels. 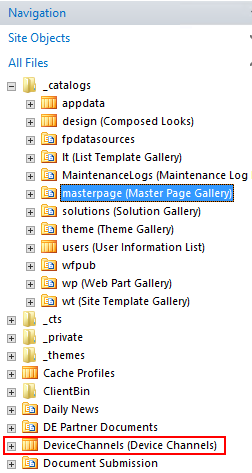 Within SharePoint Designer, right-click on masterpage and select properties. Now, Click on Permissions for this list. 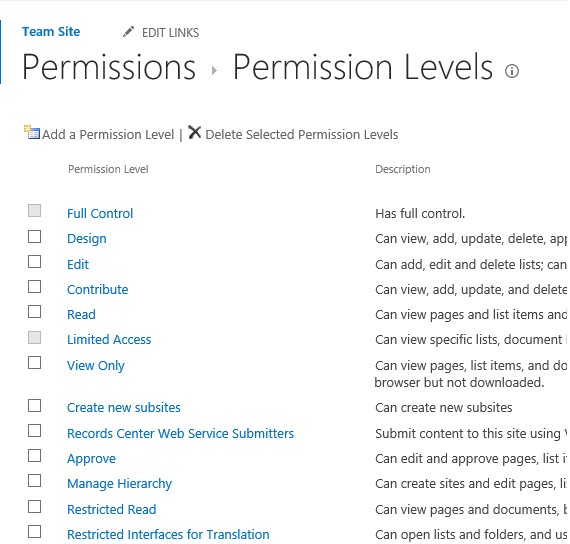 Then Assign Restricted Read permissions to the appropriate user, or group. Next, repeat the process for the DeviceChannels folder. In this article, I will tell you about how to fix an Error when launching query builder on SharePoint 2013. Error: Not able to connect to search service to retrieve valid settings. You need administrator rights to the Search Service Application – regardless of the fact that you are a farm administrator. (I simply as of late experienced this issue yet thought it worked before – I am believing that late fixes and upgrades stopped a security opening). Grant-SPObjectSecurity $security $principal "Full Control"
You might likewise solve this by means of Central Admin. Next step, In the Administrators dialog, enter the account that needs permissions and click the Add button. Now, select the account in the list and grant Full Control. The Query Builder dialog will now launch appropriately without any inconvenience. SharePoint Hosting – HostForLIFE.eu :: How to Fix Error Occurred in Deployment Step Recycle IIS Application Pool ? 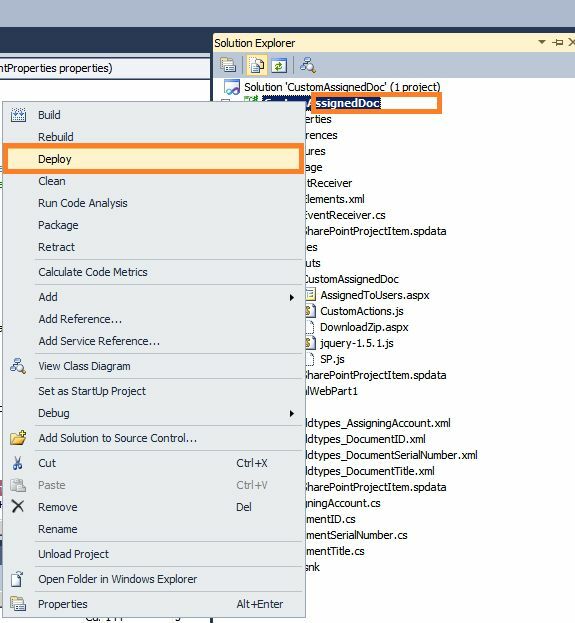 This article describes what to do a couple of specific error that might occurr within the deployment step of recycling an IIS application pool. An error has occurred in the deployment step of “Recycle IIS Application Pool’: The communication object, System.ServiceModel.InstanceContext, can not be used for communication as a result of it’s been Aborted. 2. Next, type “iisreset” then click OK.
3. Then, wait untill IIS stops then starts again. 4. Next step, Right-click on your SharePoint project then select “Deploy”. 5. Finally, the deploy will now succeed. 6. If you’re still seeing “Error occurred in deployment step ‘Recycle IIS Application Pool'” then please restart your SharePoint Server Front web application. SharePoint 2013 Hosting French – How to Show Tree View Navigation in SharePoint 2013 ? Now, we are going to discussed about show tree view navigation in SharePoint 2013. Generally the default SharePoint 2013 Quick Launch isn’t sufficient to aid users to navigate to some SharePoint website. The tree view is an additional navigation choice which gives a hierarchical view of all sites, lists and libraries inside the website, as well as any sites beneath the current website level, this kind of like the Document Center site template, show tree view navigation by default. To show the tree view, tick the Enable Tree View check box and then click OK.
To hide the tree view, tick the Enable Tree View check box and then click OK. 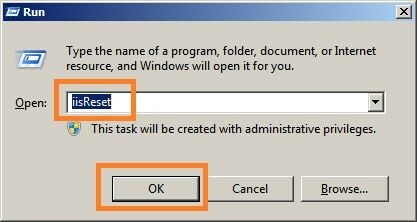 If you need to show only tree view navigation, clear the Enable Quick Launch check box. In case each the Quick Launch and tree view navigation are enabled, the tree view navigation will seem beneath the Quick Launch. You can now begin to see the Tree view rather than Quick launch. SharePoint 2013 Hosting Germany – HostForLIFE.eu :: How to deploy a WSP to SharePoint 2013 ? 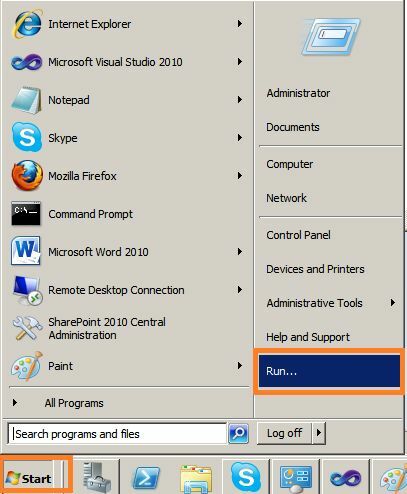 This tutorial should be done upon the Server that host the SharePoint 2013 Central Administration. 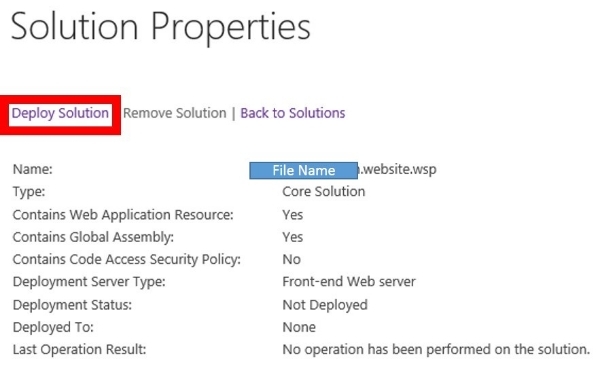 Add the WSP towards the SharePoint Server. First thing you have to accomplish is copy over the WSP deployment file. One of the best things you can do is to make a deployment folder, exactly in which all of the deployed files are kept. 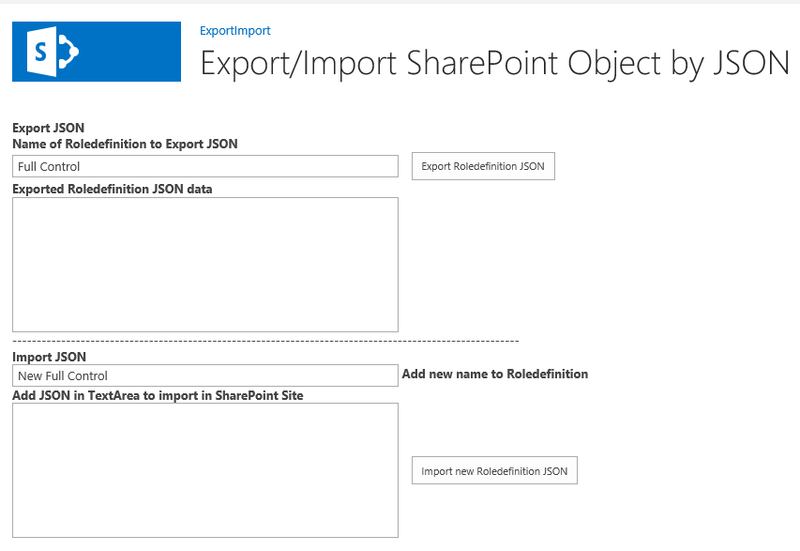 SharePoint 2013 Hosting France – How to Export or Import SharePoint 2013 objects using JSON & REST in App ? One massive ask for from IT Managers and Office 365 SharePoint Website is concerning Migrations of data and SharePoint Objects from SharePoint Website, sure there’s a great deal of resources which assist you creating this sort of migration, we listen to plenty about moving users, Lists, Content types but how this extremely works. We could have multiple methods considering that SharePoint Object Model Server Side, Client Side Object Model or REST operations as examples. 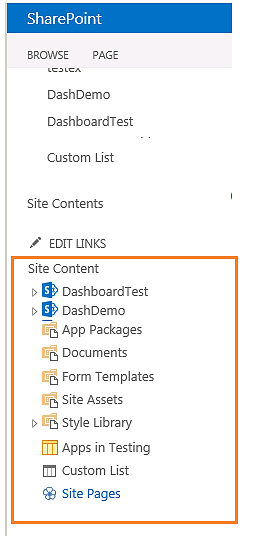 This illustration show how you are able to utilize the data in JSON base from REST operations and SharePoint Objects from SharePoint Sites then alter it and import to totally different SharePoint sites. 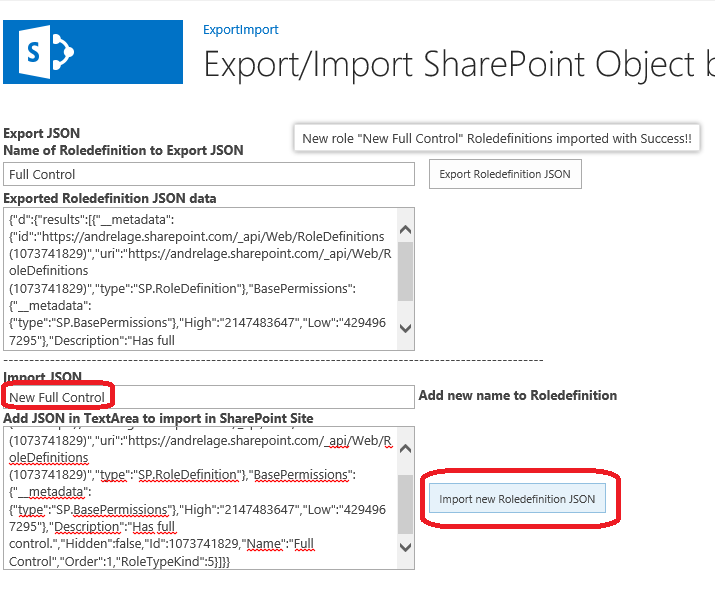 This sort of technique could be terribly useful to relocate SharePoint Website Configurations to multiple sites, for that instance used the ” RoleDefinition ” object to export a existing RoleDefinition Object and import along with a special name utilizing JSON data. The app obtain a existing RoleDefinition permission Name inside the SharePoint website and produce a REST operation to return the JSON data related. 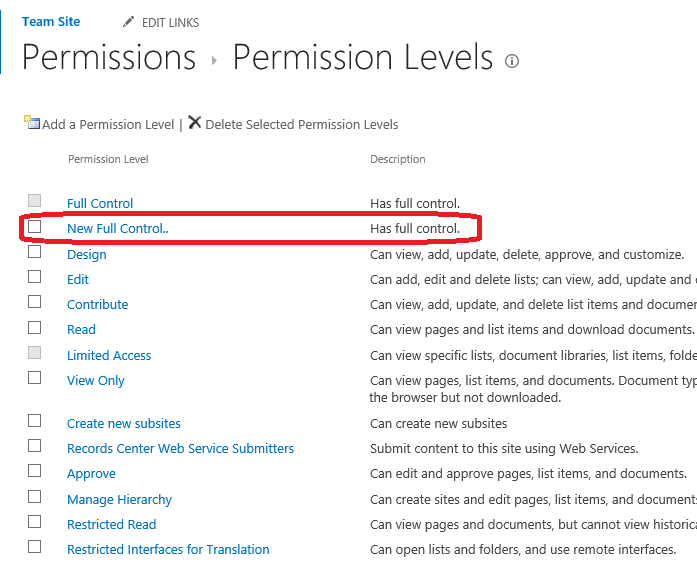 The very first factor was acquire the Name of the permission in Authorization Levels, you are able to accessibility the page subsequent the Top Right Menu Site settings -> Site Permissions -> Ribbon “Permissions Levels. 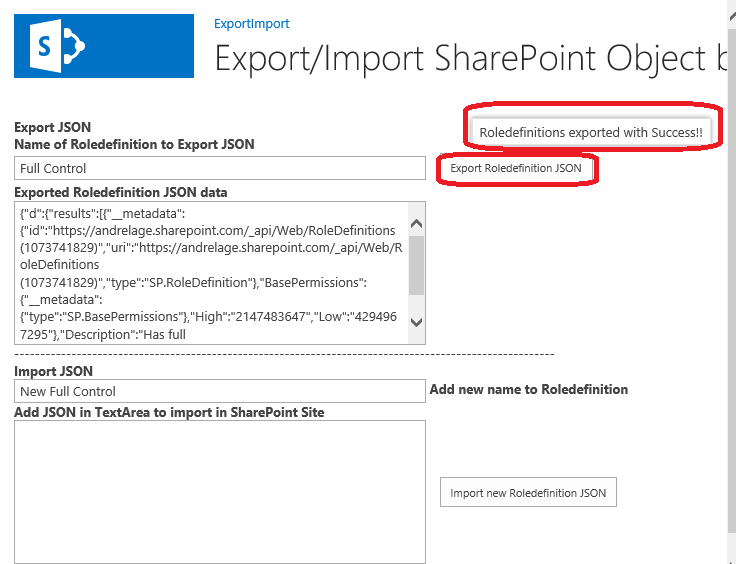 Once the Permission name is selected use of ExportImport App and choose the Option ” Export RoleDefinition JSON ” and also the JSON data is displayed inside the TextArea. Import JSON Roledefinition Copy the JSON data and paste inside the Import JSON TextArea and provides a new Name to the RoleDefinition and choose ” Import new Roledefinition JSON “. This operation can deliver a POST Method by REST using the JSON data and properties connected inside the Body of the message to SharePoint. When this the object ought to be produced with good results. After you got “success Message” from the last operation, you should refresh the Permission Level Page & validate if the new RoleDefinition was created with sucess.